This year was the first time I was able to attend VMworld US, and it was an amazing experience. Just before the conference, I was contacted by someone at Spiceworks and asked to write a few articles about what it’s like to attend. Since there were several articles, I wanted to list all of them here. It was a blast writing each of these, and I hope sharing my experiences will provide some value to the community as a whole. The last article in the list is more general and contains some recommendations for any tech conference. Also check out the comprehensive list of Hackathon articles on William Lam’s blog, which includes one by my Hackathon teammate Patrick Kremer. Are You Going to VMUG UserCon? Not everyone can attend VMworld, but there are other conferences happening this year that can be of value. Whether you are a VMware shop or not, a very valuable one day free conference is the VMUG UserCon. These are held across the world at different times during the year, and I recommend joining your local VMUG to stay updated on conference dates and other free meetings throughout the year. And if you happen to be somewhere near Dallas / Fort Worth, the DFW UserCon is on October 10th, which is a nice free alternative for those not able to attend Spiceworld Austin. Spiceworld is Coming! 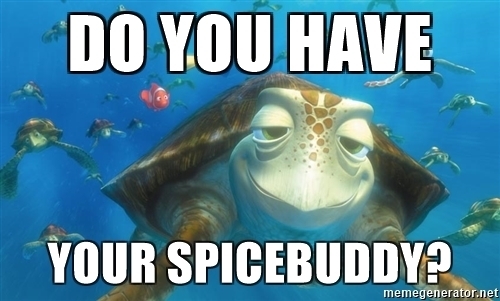 Do You have Your SpiceBuddy? If you are headed to Spiceworld this year for the first time, check out this thread to learn more about the SpiceBuddy program and all the fun events we have planned. Keep an eye on the Spiceworld forum in the community for additional updates, and plan to come to one of the Newbie Bootcamps on Monday, October 9th (5-6 PM and 6:30-7:30 PM sessions during the Sponsor Showcase). There is no need to sign up. Just show up! When it’s all over, come have a cup of coffee with us to relive the experience before heading home. Whether this is your first time or your fifth time to attend Spiceworld, I hope to see you there!